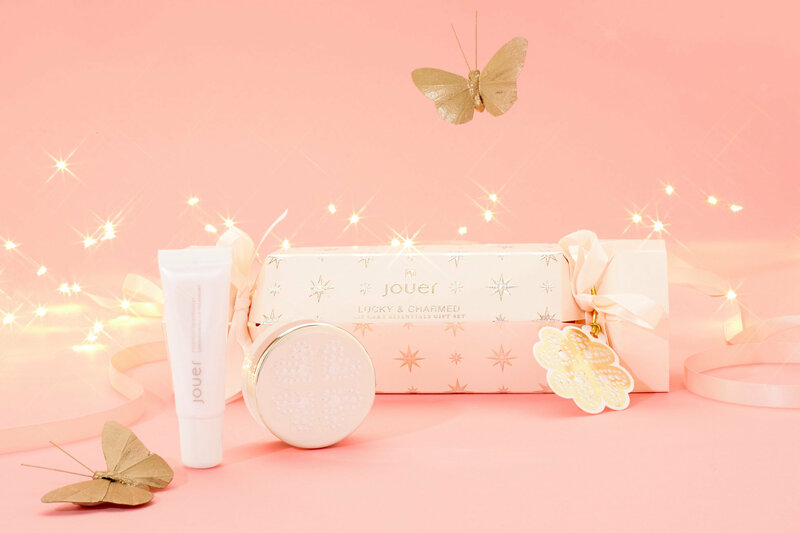 Give and get lucky this holiday season with a charming new collection from Jouer Cosmetics. Choose from a luminous highlighter palette, foil-finish eye shadows, and more to make your own makeup magic. Treat your lips to a spa day with this set of an exfoliating sugar scrub and nourishing lip treatment for a smooth, pillowy-soft pout. 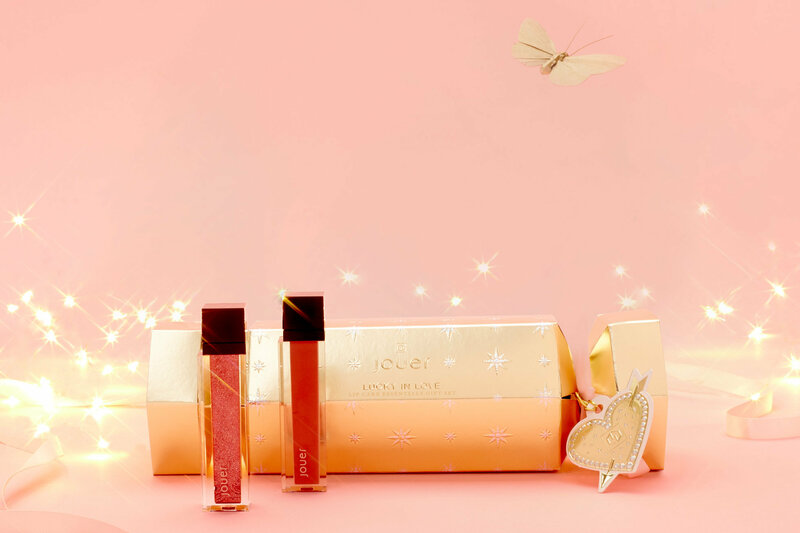 This limited edition set features two captivating lip colors: a long-wearing matte liquid lipstick in a cool peachy hue, plus a shimmering rose topcoat to wear on top or alone. 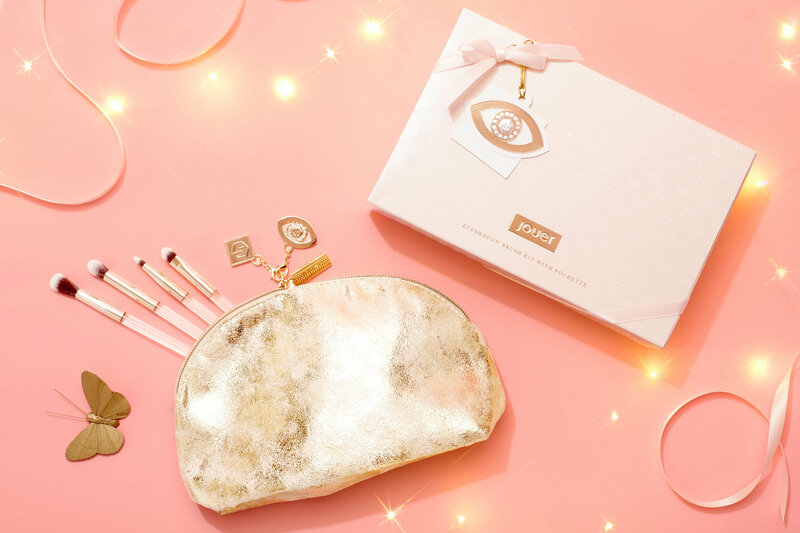 Perfect for all your holiday eye looks, this vegan brush set features tools for applying, defining, blending, and lining housed in a vintage gold makeup bag. 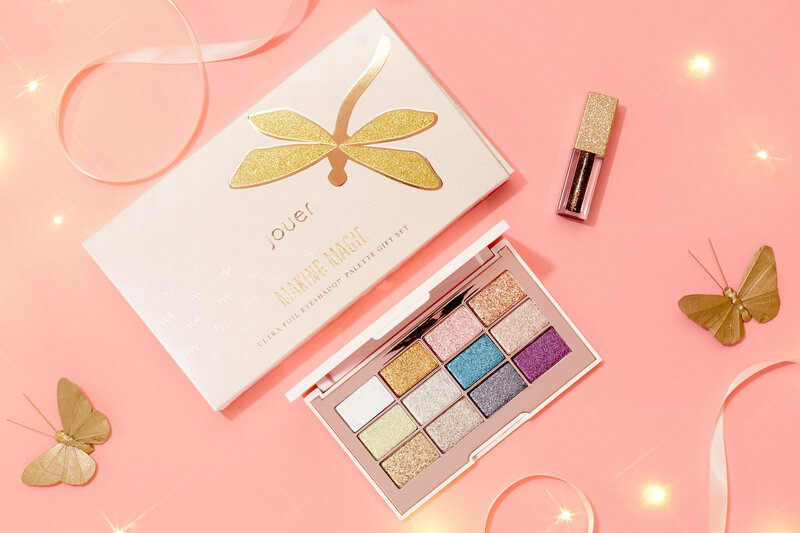 Create magical, mesmerizing eye looks with twelve shades of foil-finish eye shadow, plus a glitter-packed eye topper that adds a sparkling finish. Your holiday lip wardrobe, found. 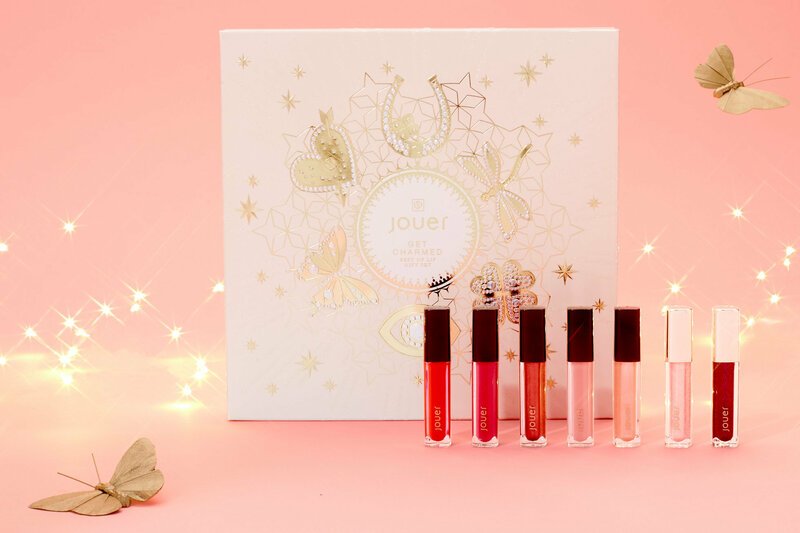 This seven-piece gift set features flattering shades of Long-Wear Lip Crème, Long-Wear Lip Topper, and High-Pigment Lip Gloss in cream and pearl finishes. 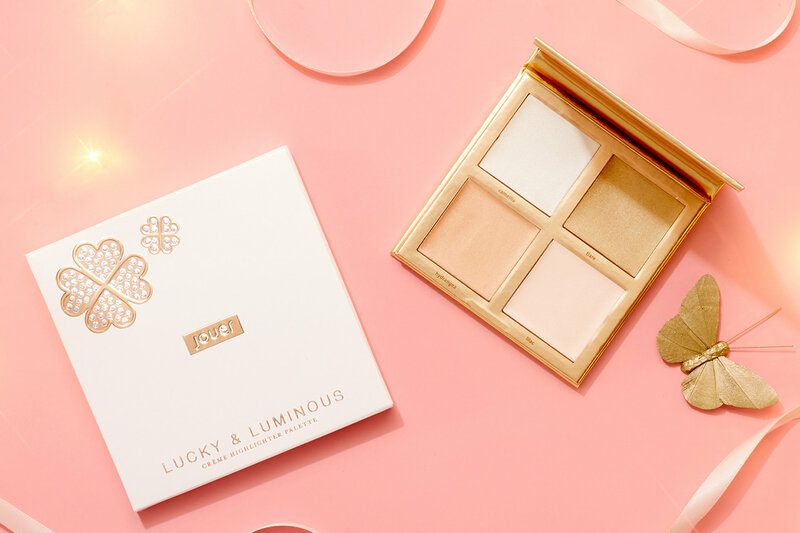 Create your own luck this season with this palette of four luminous crème highlighters in shades Camellia (shimmering white pearl), Tiare (shimmering gold), Hydrangea (shimmering pink), and Lilac (shimmering duochrome lilac pink).